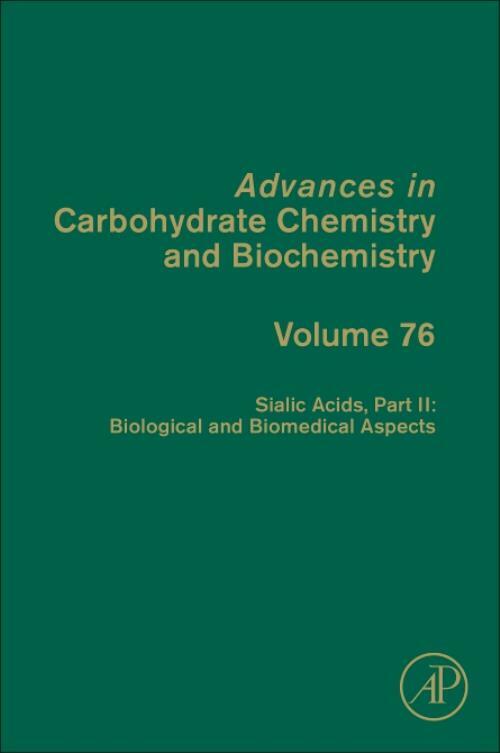 Sialic Acids, Volume 76, the most recent release in the Advances in Carbohydrate Chemistry and Biochemistry series, is the second volume of a two-volume set devoted to the sialic acids. Vol. 76, devoted to the biological and biomedical aspects of sialic acids, includes chapters on "Sialic Acids in Neurology," "Sialic Acids in Nonenveloped Virus Infections," and "The Biology of Gangliosides," all written by leading experts in their fields.